A backyard pool is on everyone’s wish list – who doesn’t love the idea of a refreshing dip on a hot summer day? But while a pool can make a party, it can cost you in the long run. This is going to sound counter-intuitive, especially when faced with this summer heat wave, but installing a pool is not necessarily going to raise the value of your home. The presence of a pool has nothing to do with how much use you’ll get out of it, and everything to do with financial investment. Aesthetically pleasing, an in-ground pool can cost anywhere from $10, 000 to $100, 000 and up, with the additional commitment of yearly maintenance expenses. Though your family may get a lot out of a backyard pool, if you plan to sell in the future, you’re faced with potential home buyers who view swimming pools as dangerous (especially those families with small children who fear the risk of drowning, etc. ), expensive, and a liability. That said, a backyard pool can provide a relaxing retreat or great gathering place, but it comes with great responsibility. When you want to add an above- or in-ground pool to your backyard, pay close attention to these safety rules and regulations, as laid out by the Pool & Hot Tub Council of Canada. Safety: All pool users need to become familiar with fundamental safety rules, and at all times when children are present, adult supervision is mandatory. Structural Safety: Your backyard must be fenced, walled, or densely hedged on three sides in compliance with local by-laws (or to a height of 1.8 meters where no by-law exists), with the house forming a barrier on the fourth side. A four sided enclosure can be used in combination with self-closing, self-latching gates, lockable doors and self-closures for garage doors that directly access the yard. 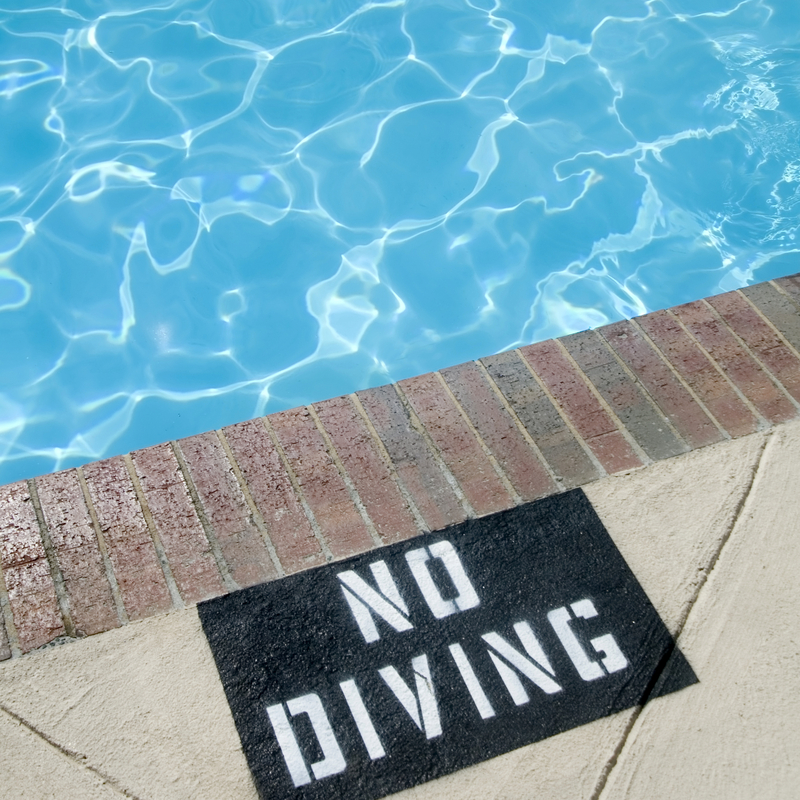 While the above two rules are mandatory, the Council recommends using the following measures in conjunction to supplement and enhance pool safety. A) Safety covers – manual or automatic safety covers that, when installed, will separate the water from an intruder. These covers are specifically designed to take the weight of many adults, and will easily keep a child out of the water. Some covers may even be locked. B) Access alarms – gates or doors to the pool and hot tub area may be fitted with alarm systems that sound if the gate or door is opened or left ajar. C) Wave alarms and sensors – an alarm is triggered if there is any motion in the water or around the perimeter of the pool. D) Four sided fence – a fence may be constructed to completely surround the pool, as long as it is built in compliance with local by-laws, constructed of non-climbable material, isolated completely from any other barrier, and equipped with self-closing and self-latching gates. E) Kiddie fencing – a kiddie fence may be installed that will restrict a toddler’s access to the swimming pool area and keep the play area of the backyard separate. F) Restricted openings – windows with access to the pool may be restricted to openings of less than 10 centimeters, but they must be installed with an override that allows an adult to open fully and exit through them in case of emergency. This entry was posted in Pool Safety and tagged Pool Tips, Real Estate Advice. Bookmark the permalink.